Is your current streaming provider not supporting HTTPS? Do you need to get your stream HTTPS enabled but don’t want to change providers? 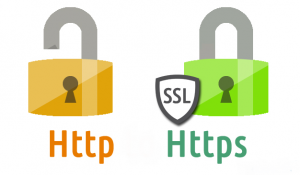 Is your non-HTTPS stream making your new SSL website non-compliant? We can offer you a solution! Introducing ‘Secure Streams‘, our service that provides a way to use our secure, HTTPS platform alongside your existing streaming provider – no need to move to a new provider just to get a secure, HTTPS stream address. We can provide you with an HTTPS address that you can use wherever you need to and link it to your existing streaming server. No need to change providers, just use the Secure Streams HTTPS address we’ll provide you with and it’ll link straight through to your existing stream. Sign up, submit your current ‘Listen Live’ stream URL and our control panel will immediately provide you with an HTTPS address you can use on your website (or anywhere you need to provide a secure link), and we’ll automatically forward the HTTPS address to your existing stream. This service is also ideal if you regularly change streaming providers and would like to have one single URL to provide to platforms such as TuneIn, iTunes and other directories and not have to worry about updating your stream in multiple locations and potentially lose listeners. Just use our Secure Streams URL in all these places and then, if you need to update your stream or you change providers, just update it in one place on our control panel! Easy! Sign up now and get an HTTPS address that simply forwards to your existing streaming address and make your website HTTPS compliant. Multiple streams or a stream provider/host? Contact us for volume pricing.